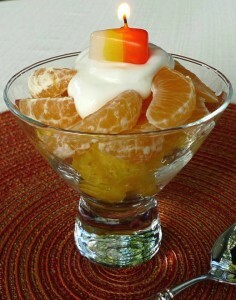 The Halloween countdown is on, and it also happens to be National Candy Corn Day today! 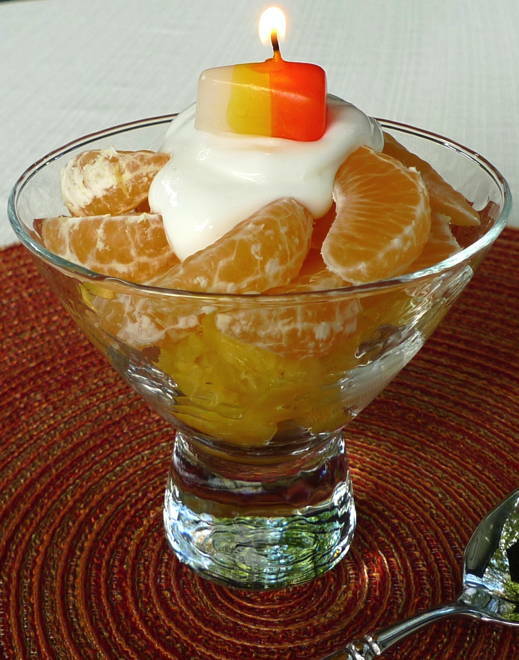 🙂 Here’s a sweet little idea to celebrate – Layer pineapple and oranges with vanilla nonfat Greek yogurt on top. I hope you have a fun and safe kickoff to the Halloween weekend!